Hello lovelies! I'm constantly asked for my ultimate blogging tips and advice for fellow bloggers, or people hoping to start a blog in the future. I've decided to compile a list of commandments for everyone, my top ten rules and pieces of advice. Please feel free to leave your own commandments in the comments below, tips from fellow bloggers and readers alike are beneficial to you, and to me! It's quite a lengthy post, so grab your cup of tea and enjoy..
Thou shalt write about what interests YOU! There's no point starting a blog, or a blog post with the intention of trying to please everyone and receive a gazillion hits instantly. If you write about what interests you personally, other like-minded people will latch on and enjoy your posts - which is a fantastic thing! If people don't like your style, they can swiftly click X and move on! Nobody likes to read a copy-cat blog, full of banal reviews and topics. Keep things personal to you, your personality and interests will shine through, and will help build up your unique blogging identity. Thou shalt not spam fellow bloggers. There's nothing more annoying than new bloggers spamming you with links to their blog daily, asking for a 'follow for follow' - fact! I've blogged for almost three years now, and never gained any success by spamming links to everyone. It just irritates people, and will more than likely be ignored. Send someone a simple tweet or message, politely worded and ask them if they'd be interested in checking your new blog out. Ask that blogger for some advice/ constructive criticism, it will look more inviting than just a random blog link. If you don't receive a reply, move on and maybe try once more in a few weeks. You won't get anywhere by spamming someone every minute with links! Thou shalt be patient. Success comes with time, nobody's blog becomes a hit overnight (except for a very, very, very lucky few). Don't expect 100 followers in your first week, or expect to be sent out samples and event invites after you've just started your blog. Readers and PR companies alike need to get to know a blogger first, and get to know the blogger's style and interests before the hits and invites come rolling in. I started my blog in 2009, and only last year in 2011 did I start receiving PR samples and event invites! Blogging is not only about samples and invites, that defeats the whole purpose of a blog. It becomes evident to a reader or a PR company, if your blog is just solely there to receive those things. Thou shalt have a legible and neat blog layout. There's nothing worse than trying to read a blog post, when the font is extremely small or messy. The same goes for a blog with a busy background and gadgets scattered all over the place. It not only distracts from the content, it also looks unprofessional and can easily put off readers from going to your blog. Start your blog off with a simple layout, and as the weeks go on customise it to suit your own personality. Keep the font basic, and the background basic-enough. Ask your readers if they like your blog's look, and welcome any constructive criticism or advice with open arms. Your readers are the most important source of feedback and information! Also, always use a spelling aid if you find that spelling/ grammar isn't your forté. The odd typo is normal, but if your writing is continuously bad and misspelt, it gives off a very unprofessional and rushed look to your blog overall. Stick to the same writing style also, nobody wants to read a review on a product through unnecessary Shakespearean text. Use an online thesaurus to help you along the way with writing, some people have the knack naturally and some need to learn it as the years go on (like me). I'm better at creating visual content, than I am writing. I've improved my writing over the years, and I'm still learning as the days go on! Thou shalt set up various social networking sites and interact with readers. The three main social networking sites that I believe are key for any blogger are; your blogging site (obviously), a Facebook page and Twitter. They're the easiest to navigate, they're the most popular and they're fantastic for interacting with bloggers and readers alike. Setting up a few social networking sites, lets you build up an even bigger online presence. I currently run a Twitter, Tumblr, two Facebook pages, a Youtube channel and a Lookbook. It may be a tad overwhelming for some at first to run a few sites, but it becomes easier with time. Thou shalt be honest at all times. This one applies to beauty bloggers especially! There's nothing worse than reading a blog review, where the blogger has just changed a few words here and there from the information provided on the product's packaging/ press release. Honesty is key when it comes to blogging! Blogger's views and opinions are almost more valued than magazine's these days, due to a blogger being "a real person". Bloggers who aren't afraid to say they dislike a product, regardless of whether or not they've been sent it out to review, are always the ones that receive the greatest feedback, respect and hits. PR companies send products out for you to review and test out, you're their guinea-pigs! No companies want to read the same reviews over and over again, your feedback and criticism are valued to them. 'Products I regret buying' posts are a fantastic way to show readers that there are products that you've been unhappy with. Bloggers may feel more comfortable writing those posts, instead of writing one singular post ranting about one product. Thou shalt take your own photos, that are of good quality and are clear. There's nothing worse than reading a blog post showcasing an outfit or a product, and not even being able to see it clearly in the photos provided. I'm not saying everyone needs a huge professional camera, with 20 light boxes and a studio - just clear and simple photos, taken in daylight are best. The camera I use is a simple pink digital camera that I've had for four years, I would like to invest in something a little more fancy in the future though. It's always best to include your own photos too as much as you can - it takes away from a blog if every single photo is one you've just nabbed off of Google or a press release. Readers like to see swatches and photos of you, it makes things more personal! Also, never ever ever steal a fellow blogger's photo for something. ALWAYS ask permission first, and make sure to link the source of the photo back to the person's blog post. Nobody likes a blogging thief. Don't over-edit photos either, especially if you swatch products - take a photo of the swatch in daylight, for a true to life example of the product. 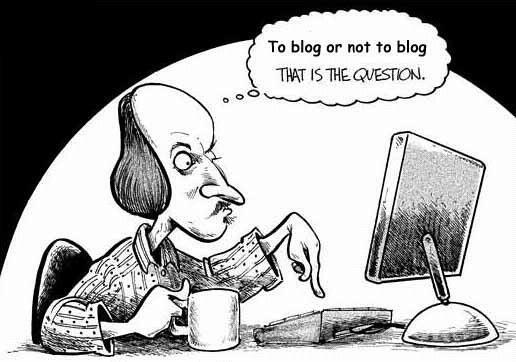 Thou shalt never put pressure on thyself, and make blogging a chore. If you ever feel stressed or under extreme pressure for reviewing something or just simply writing a post up - take a step back, turn off your computer and breathe. If you put pressure on yourself to blog, the fun is taken out of it and it becomes a chore. Over the three years that I've blogged, I've taken at least four breaks. Never feel the need to blog X amount of times during the week, blog whenever it suits you. I know some bloggers may feel pressure from PR companies to review products in speedy time, but if you simply email them and explain to them you're feeling a tad bombarded with blogging, they'll understand. Your readers support you, and want what's best for you. Your blog will suffer, if you suffer. I like to post at least 4-5 times a week, maybe less sometimes. I run this blog in conjunction with my Youtube channel, so posting seven days a week would become extremely stressful for me. Blog whenever you feel like it. If you ever have those sudden bursts of blogging fever, write out a few posts and queue them for during the week. Thou shalt keep things sweet. The whole world is watching you if you blog, everyone and anyone can access your blog (unless you put on privacy settings, of course). That means friends, family, companies, future employers etc can see what you post online. If a potential employer sees you arguing and bitching on Twitter with people for example, it will automatically put them off you. They can simply search your name on Google, and everything you've ever written pops up! Most employers look people up online nowadays, especially if you've stated in your CV that you have a blog. Blogging is a fantastic way to show employers who you are, your interests and your talents. Think of it as your online CV! Think positive thoughts, and encourage fellow bloggers and yourself to do so too. We all have our off days, but instead of ranting online about it, turn off your computer and watch a movie instead. You'll be glad of it the day after.